Westerns once dominated the Hollywood era, the European scene, and many aspects of the film world. However, many got overshadowed by the large excesses or similar types of films. On this list, you won’t see films by John Ford, Howard Hawks or Sergio Leone, but rather films that resemble a similar bravura and aesthetic for the western that can be greatly appreciated and just haven’t as the years have gone by. Therefore, here are 10 under-appreciated great westerns from traditional, spaghetti, and recent. Almost a decade before John Wayne rose to stardom after “Stagecoach,” he starred in the film made by underrated director Raoul Walsh. Wayne leads settlers out west looking for a better life, but the scope of this western was tremendous, particularly in 1930. The film itself was massive, shot on location across the west, hundreds of extras, and even shot on 70mm Grandeur film at the time. Despite all the production values, the film holds up for several reasons. It proves Wayne was a leading man; it’s a man versus nature type of film, and a great western adventure. The film never dulls for drama or Wayne proving the kind of all-American tough guy cowboy he grew into being. Take last act of the film: there is a chase of sorts in a large forest that can rival a scope of a film today. Not only because it was a real location and time when films weren’t like that, but the actors actually endured the hardships of moving around in the west, making the film in 1929. From the opening credits and scene where we Barbara Stanwyck dropped in black riding a white horse, leading men, all in the open west – you know you’re getting something special. Some may consider it a feminist western or a pulpy B-movie western, but it’s undeniably a Samuel Fuller film. 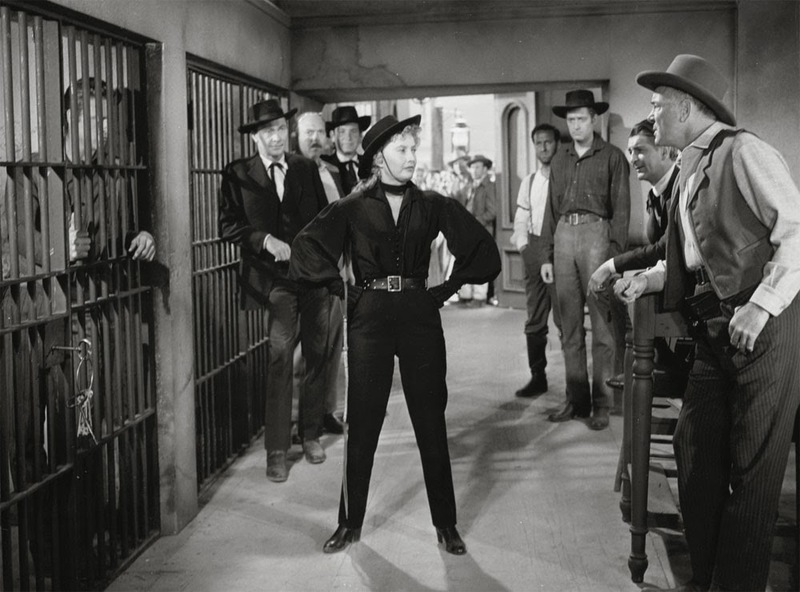 As the film plays out in a tight 80 minutes, we are strapped along for the ride as Stanwyck’s Jessica Drummond tries to fight off a sheriff and Marshal who want to hang one of her posse. And what follows in pure Fuller with hard-cracked dialogue, a camera that roves with action, and never a dull moment. However, Stanwyck doesn’t shy away from her feelings in this male-dominated genre and this leads to an explosive ending of a shootout that was hard to imagine when seeing it in 1957! Fuller always made great westerns from “I Shot Jesse James” and “The Baron of Arizona,” but somehow he encompassed so many western elements into one film and it’s just so damn good. 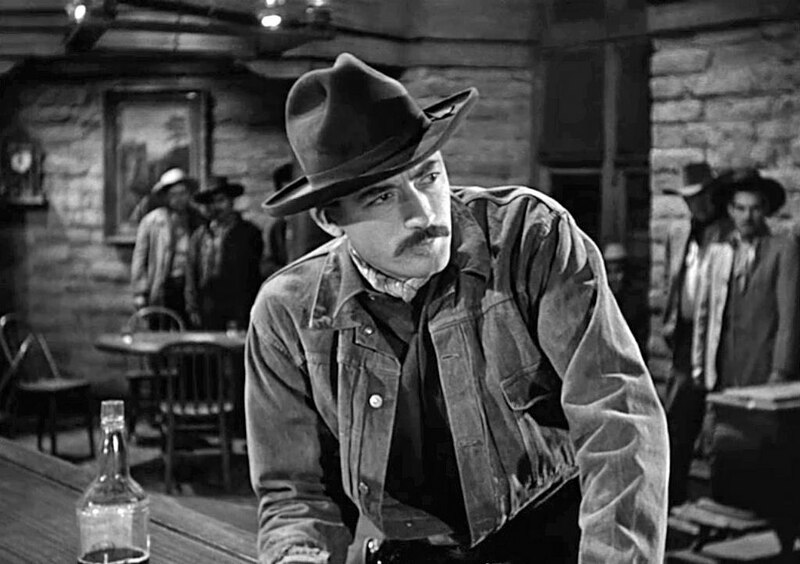 Many redemptive westerns have been made about violent gunslingers, from “Gunfight of OK Corral” to “Unforgiven,” but here we get Johnny Ringo, played by Gregory Peck, who wants no part of violence. He returns to the small town of Cayenne to live a peaceful life with the wife and son he left behind. Henry King’s film has everything you could want – a tight narrative that spans over the course of a couple of hours, stark black and white cinematography by Arthur Miller, and great performances all around from the naive and caring bartender Karl Malden and the sympathizing Marshal, Millard Mitchell. No beats are skipped and we come full circle with hot shot youngsters to the legend of Ringo. Peck, the always great American hero, plays the supposed villain with the grace and understanding of his past. Take the scene when he calmly converses with the women of the town about what should be done to him, of course inconspicuously. He is truly trying to be redemptive about his old ways; despite not being bad in the film, they were all ‘him or me’ situations. Miller’s film came at the large popularity of the western at the beginning of the 1950s, so it can be understood why it was washed into the back minds of viewers. However, after an 85-minute viewing of this film, you’ll feel differently. 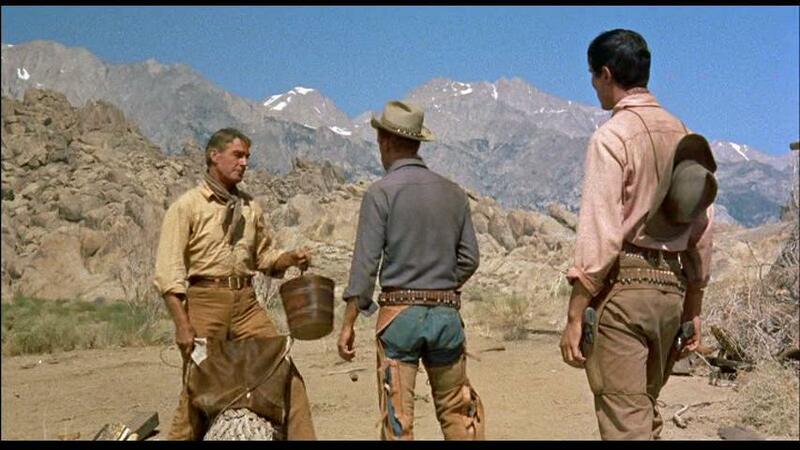 Anthony Mann was no stranger to the western genre from his five collaborations with James Stewart and “The Furie,” but his overlooked gem from 1957 as well might be his boldest. 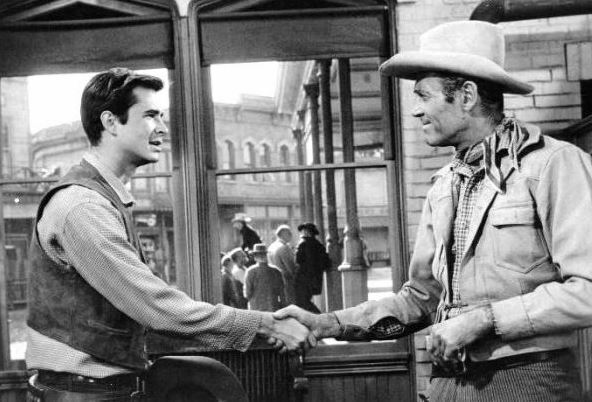 We see Henry Fonda as a former sheriff turned bounty hunter help naive sheriff Anthony Perkins in his town. Anthony Mann loved the western visual as anyone else and he explored many areas of the west. However, despite great experiences in his filmography until this point, he went back to black and white, photographed by Loyal Griggs, and truly masters the mise-en-scene of each frame. Every shot from this film contains so many elements from production design, dozens of extras picturesquely placed and moving in the background, and the entire town. No frame is wasted and they are all essential to the thought process of Fonda and Perkins. Mann shows the morality, the grayness, the townsfolk, and the law in his film with such clarity due to his visual framework. It’s possible the film got shuffled amongst Hollywood westerns at the height of their popularity, but it stands as one of Mann’s very best. Rounding out the third film from 1957, Budd Boetticher’s film starring his go-to actor, Randolph Scott, is a lean, on the point, gritty western. With the trio of Boetticher, Scott, and winter Burt Kennedy, you simply can’t go wrong in what the director labeled his ‘C-movie westerns,’ which meant he could do things and get away with it due to its low budget and minimal distribution. The films explores Scott chasing down a trio of outlaws who kidnapped a rancher and his lady; however, Scott’s character of Pat Brennan has another angle of vengeance of his mind. The film is in widescreen Technicolor at its best, and Boetticher makes the most of it as the film weaves the sandy west to the showdown encircled by trees. And without going into further detail for spoilers, the film shows how the west truly was in its characters duality of self and the choices they’ve made. 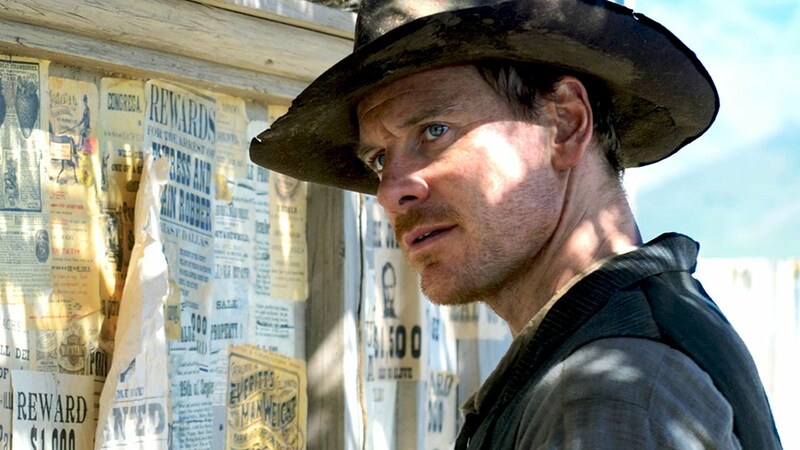 It’s after the credits start to roll that we start to really appreciate Scott’s conflicted performances and final actions in this hell of a ride, tense, western.